It was very tight at the top between Obiri, the reigning world champion and our 2017 World #1, and the Netherlands’ Sifan Hassan. 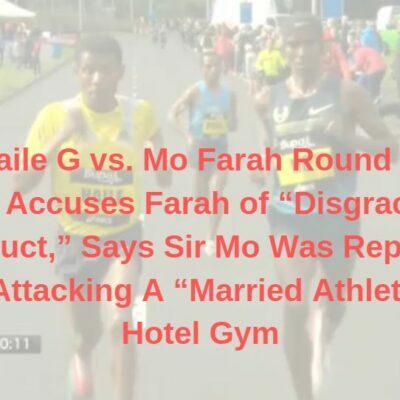 They raced four times across the 3k and 5k, with Hassan beating Obiri in the two 3ks (World Indoors and the Continental Cup) and Obiri prevailing in the two 5ks (Rabat and the Diamond League final in Zurich). 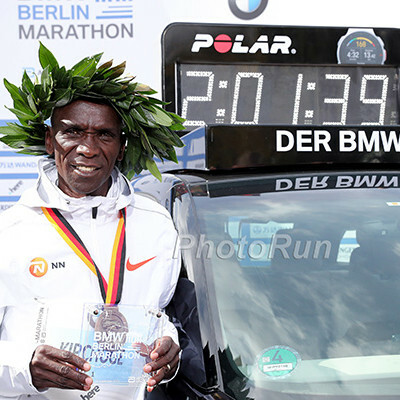 Hassan was the world leader in the 3k (8:27.50); Obiri was the world leader in the 5k (14:21.75). Hassan was the European champ; Obiri was the African champ. 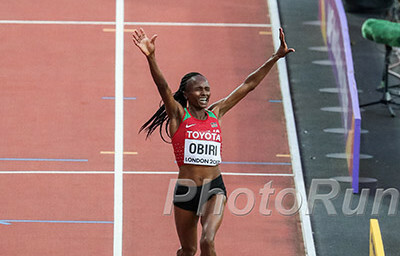 We ultimately picked Obiri because she had a bit more on her 3k/5k résumé (Hassan split time between the 1500, 3k, and 5k, while Obiri mostly focused on the 3k and 5k), with two DL wins to zero for Hassan and four top-threes to two for Hassan, plus Commonwealth and African titles. That being said, when looking at just the 5000 in 2018, Obiri was clearly the world #1 (and we give more importance to the 5000 than the 3000 in these rankings as the 5000 is the global event outdoors). In the 5000, Obiri won the fastest race of the year (Rabat) and the DL final (Zurich) both over Hassan. But performance wise, they were near equals in 2018, and nothing exemplified this better than their epic showdown at the Diamond League final. Hassan took the lead with 300 to go, but Obiri responded with an even bigger move and the two battled all the way to the line, using a fabulous 27.39 final 200 to edge Hassan by .38. Their duel in Rabat, where Obiri won in 14:21.75 to Hassan’s European record of 14:22.34, was also one of the highlights of the year. Had Hassan won the either of those races, that might have been enough to move her to #1 but that’s not what happened. While Hassan remains an excellent 1500 runner — she ran 3:57 this year and earned bronze at World Indoors — she seems to be committed to shifting toward the 5k/10k under coach Alberto Salazar. 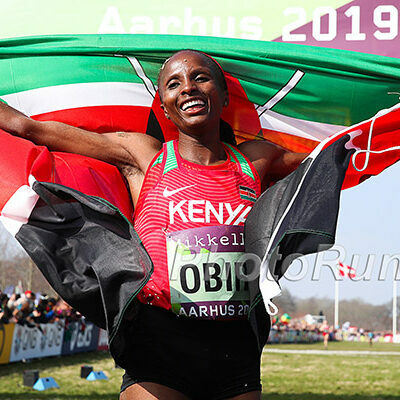 If that is the case, then the Obiri-Hassan matchup at Worlds this year will be one to savor as Hassan has clearly closed the gap from 2017, when she finished eight seconds behind Obiri at Worlds. While Dibaba has done some incredible things outdoors — a 1500 world title and world record of 3:50.07 in 2015, most notably — she’s always been a much better runner indoors than out, and 2018 was further proof of that. She won both the 1500 and 3000 at World Indoors, extending her indoor win streak to 22 (she hasn’t lost indoors since 2010). Her times of 3:57.45 and 8:31.23 were both 2018 world indoor leaders. Yet outdoors, Dibaba was brilliant at times (3:56.68 world leader in the 1500) but very beatable at others. 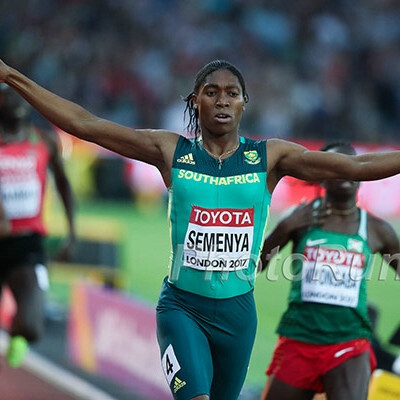 In her three DL races, she was first at the Pre Classic (14:26.89) and then a well-beaten sixth in Rabat and at the DL final. Her DL victory and World Indoor title are enough to propel her to the #3 spot in our rankings, but considering she got spanked repeatedly by Obiri and Hassan outdoors — including the single biggest outdoor race of the year in Zurich — she can’t move up into the top two. Teferi only appeared at two of the five Diamond League events, but she left her mark, running a PR of 14:23 in the first at Rabat (#4 on the 2018 world list) and taking 3rd at the DL final in Zurich. Add in runner-up finishes at the African champs and Continental Cup (she beat Obiri at the latter) and she cracks our top four. Teferi deserves big props for running that well on the track considering she made her marathon debut with a 2:24 in Dubai back in January. Like Teferi, Kipkirui ran the year by running longer events on the road — she finished second at the Houston Half in 66:48, then lowered her PR to 65:07 at RAK in February — before putting together a successful track season. She won the DL opener over 3k in Doha and though she didn’t take advantage of the fast race in Rabat, running just 14:55 there, she rebounded to finish a strong 4th at the DL final. Tirop, the 2015 World XC champ, ran well in all four of her DL appearances, and her SBs were comparable to the two women directly above her on this list. But she was 0-2 against Teferi and 1-2 against Kipkirui, which means she draws the short end of the stick here and ends up at #6. Gidey, their reigning World U20 XC champ, didn’t run any championships this year, but she was fast on the DL circuit as her SBs at 3k and 5k both ranked within the top six globally. After finishing 2nd at Pre and 3rd in Rabat, her 7th at the DL final — her biggest race of the year — hurts her a little in our rankings, but she was still strong enough overall to finish at #7. 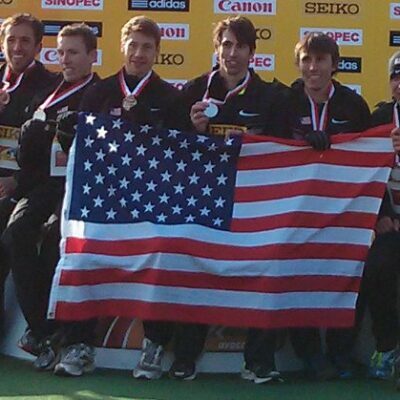 Houlihan focused more on the 1500 this year outdoors, but ran the 3k/5k enough to factor in our world rankings. 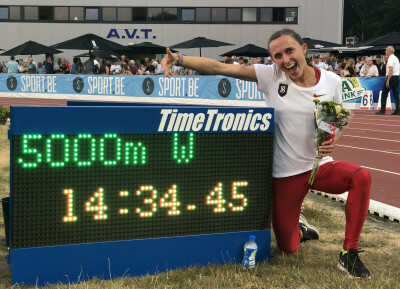 Indoors, she repeated as US champ in the 3k before placing 5th at World Indoors; outdoors, she repeated as US champ (with one of the sickest final 100 meters we’ve ever seen in a 5k) and broke Shannon Rowbury‘s American record by clocking 14:34 in Heusden, a time that put her #7 on the 2018 world list. Per Tilastopaja, only one American has finished higher on the women’s 5k list over the last 20 years: Molly Huddle, whose 14:42 in 2014 (an American record at the time) was good for #6. 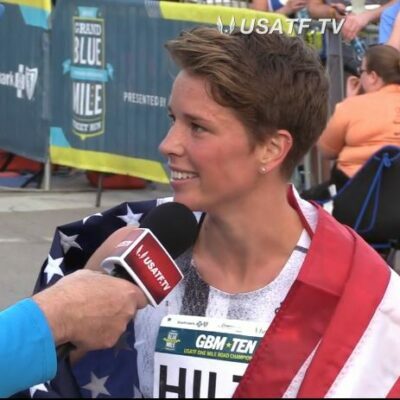 Houlihan’s best bet for a medal at the 2019 Worlds remains the 1500, but it would have been fun to see what she could have done if she ran the 5k in Rabat, where five women broke 14:30. And unfortunately, the 1500/5k double is not doable at Worlds next year (the finals are back-to-back on October 5 — who drew up that schedule?). It’s tough to compare Houlihan and Rengeruk since they didn’t race each other this year, but we went with Houlihan because her 5k sb was 27 seconds faster than Rengeruk’s, who had opportunities to run fast at Pre and Zurich. Rengeruk did post an impressive runner-up finish at the Birmingham Diamond League, beating Hellen Obiri in the process (Houlihan lost to Obiri by .72 at World Indoors) but that looked to be more of a case of Obiri being off her game than Rengeruk having an outstanding race. No one really stood out for the final spot in our top 10 — we’ve already included everyone who finished in the top 8 at the DL final and/or broke 14:50 — so we’re going with Muir. She only ran three 3ks this year, but she earned a bronze at World Indoors in one of them, which is good enough for us to put her at #10. The only case against Simpson being #2 is that she didn’t race enough at the longer distances (two 3ks, one 2-mile, no 5ks) to be included in these rankings. When she did race, she ran very well: 8:40 to win the New Balance Indoor Grand Prix in February, an American record of 9:16 in the two-mile at Drake in April (where she beat USA 5k runner-up Rachel Schneider by 15+ seconds), and an 8:30 3k to finish 4th at the Doha Diamond League (Houlihan was the only other American to break 8:40 indoors or out). Simpson was so far ahead of the non-Houlihan pack that she has to be #2 in the US rankings, despite the lack of races. To be honest if this was a non ‘off year’, we’re not entirely sure if we’d rank a woman with zero 5000s in our 5000 rankings (where we do also consider 3000s as well) but given the fact that it was an off year where the only global distance championship was the indoor 3000, we really are thinking of these as 3000/5000 rankings. Regardless, if every woman in America raced a non rabbited 5000, Simpson would be our silver medal pick so #2 here is a good spot for her to be ranked as well. Schweizer bounced back from a disappointing 11th-place finish at the 2017 NCAA XC meet to put together an incredible 2018. In February, she erased Simpson’s NCAA indoor 3k record of 8:42.03 from the books by clocking 8:41.60 at Millrose — no small feat considering Simpson’s mark was over six seconds better than the next-closest time. In March, she earned her first NCAA sweep, winning the 3k and 5k in College Station. And in June, she bounced back from disappointment in the NCAA 10,000 final to win the 5k in her final collegiate race. 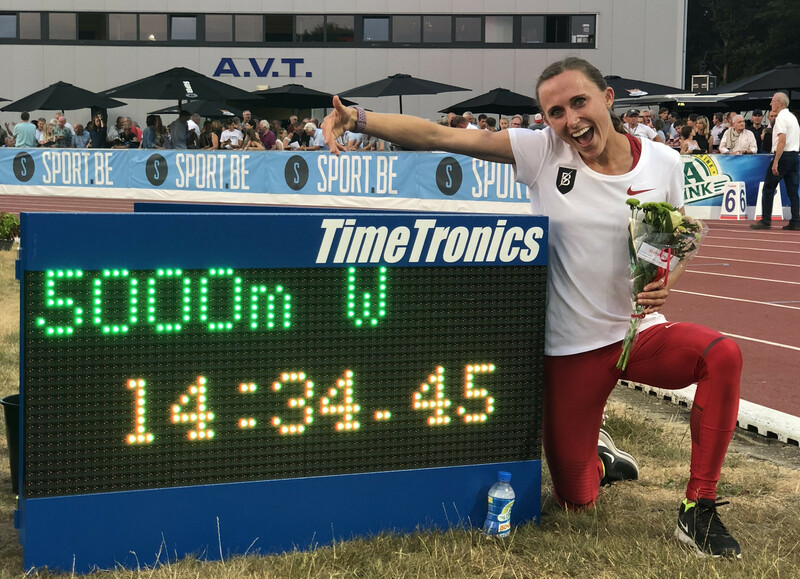 She closed out her year with a third-place finish at USAs and PRs in the 1500 (4:06) and 5000 (15:02) in Europe. Schweizer has the talent, the training partners, and the coach to reach an even higher level in 2019. There are World Championship/Olympic teams in her future. Schneider beat Schweizer at USAs, but that was the only time they raced, and Schweizer had the more impressive season overall. The #4 spot came down to Schneider and Katie Mackey, and Schneider was 2-0 in their head-to-head matchups, including a runner-up finish at USAs (where Mackey was only 6th). Schneider also earned a win at NACACs (granted it came in a three-person race) and was second behind Simpson in the 2-mile at Drake (her 3k SB would have been better had that race been 3k instead of a full 2 miles). It took until the age of 30 (she turned 31 in November) for Mackey to make her first World Championship team, but she did it in style, outkicking a reigning world champion in Emma Coburn to make it to World Indoors in the 3k, where she finished a respectable 8th. She wasn’t quite as good outdoors, but was still in the mix, finishing 6th at USAs.